A number of properties in Melbourne's inner north have sold, including 243-247 Queens Parade at Clifton Hill. The site has planning approval for an 11-level development. [tweet_dis]Melbourne’s inner north has seen a string of properties changing hands in recent months[/tweet_dis] as the area becomes a hive of activity for developers. Colliers International’s Ted Dwyer has sold three properties off-market in Clifton Hill in the past six months, amidst strong interest in the area from developers. Local developer Adam Wulff recently acquired one of the largest mixed use development sites in the Clifton Hill/ Fitzroy North precinct. The 3020sqm mixed use development site at 120-138 Roseneath Street, Clifton Hill was snapped up for more than $8.4 million. The site will be transformed into a high-end townhouse/apartment project. Mr Dwyer said: “The property was sold after a competitive off-market process. Although sold without plans and permits, it is believed the site has potential to yield in the vicinity of 65 units with a mix of townhouses and apartments, representing a significant per unit price”. Mr Wulff, in collaboration with Paul Hayward of Carta Group, also secured another nearby site last year - a 1,080sqm mixed used site at 243-247 Queens Parade at the heart of Clifton Hill’s increasingly popular retail precinct. Mr Dwyer sold the property prior to auction, amidst keen interest, for more than $4 million – a price that was substantially above expectations. Late last year the developer received town planning approval for an 11-level project designed by local architecture practice, Fieldwork Projects. Meanwhile, Salta Properties has also pounced on two adjoining Queens Parade properties, purchasing a 310sqm site at 265 Queens Parade for $2.5 million and an 885sqm site at 249-261 Queens Parade for $6 million. Both were purchased in a joint venture with James Wilson, a member of Melbourne’s Reece plumbing family. [urbanRelatedPost][/urbanRelatedPost]“Salta jumped at the opportunity to move into the area following the success of a development permit at 243-247 Queens Parade in late 2014,” Mr Dwyer said. “This set a precedent for the area, making 249 and 265 Queens Parade highly desirable sites and motivating Salta and their partners to get involved in an off-market capacity. "Mr Dwyer said all properties recently sold were in old industrial precincts, all now zoned mixed use. Mr Dwyer said the success of other recent developments in the area, such as Oxley Collingwood and Graphite in nearby Fitzroy North, was fuelling interest in the Clifton Hill area. 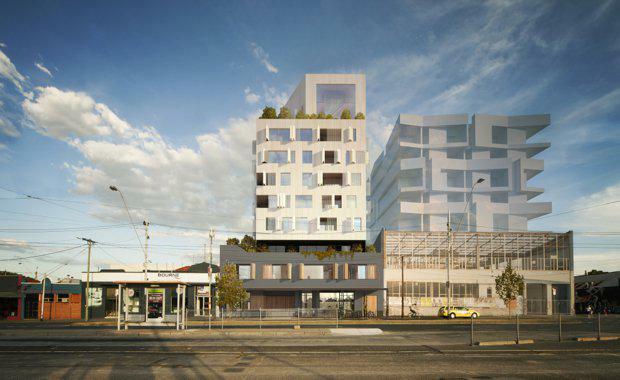 “Clifton Hill is growing in popularity as a development opportunity, in particular due to its proximity to the CBD as well as good public transport and retail amenity,” he said. “Considering the fantastic surrounding retail amenity along Queens Parade and nearby on Northcote’s High Street, and the potential for a future development to have, we expect all development opportunities in the area to be snapped up quickly and at great prices for vendors.